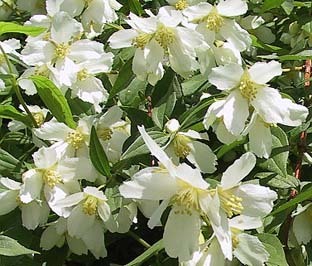 Large trusses of fully double, lightly fragrant, apricot-yellow to ivory flowers from July to September and dark green leaves. 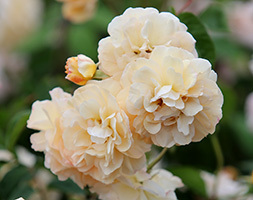 This sturdy, repeat-flowering shrub rose is perfect for a sunny mixed or shrub border. To fully appreciate the gorgeous, tea rose-scent chose a site close to an entrance or path with fertile, moist, well-drained soil. All our roses are grown in an open field and then dug up when the weather conditions are right in October or November. Some suppliers send out their roses as &apos;bare root&apos; plants (ie without pots or compost), but we pot ours up as it helps to keep the roots hydrated and in good condition. As they are dormant throughout the winter, they will not produce any new roots until spring, so don&apos;t be surprised if the compost falls away from the roots when you take them out of their pots. The roses can be kept in their pots throughout the winter provided they are kept well fed and watered, however ideally they should planted out as soon as possible. 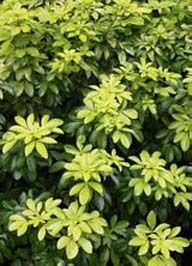 They will already have been cut back so no further pruning will be required, apart from snipping off any tips that have died back. 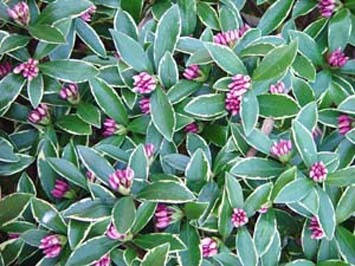 Routine pruning can begin in late winter the year after planting.